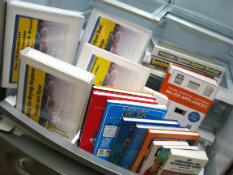 Since 1987 Appliance University has been the leading source for Appliance technical information services. Appliance University is the most respected name in the major appliance service training business. Appliance University works with seasoned professionals to produce quality instructional books, videos and training courses you need to do your job and keep your customers happy. We are constantly in contact with professionals and manufacturers to make sure you have timely and detailed information on appliances and equipment your customers are buying. All image icons seen on wwww.applianceuniversity.com are for illustrative purposes only, representing products being sold. The information on the DVD is what is being sold, not the cover illustrating the product. The actual cover illustration could be different. In 2003 Action Service Company purchased Appliance University as part of the parent company of ASC. Parent of Appliance University Action Service Co. is Registed with System for Award Management www.sam.gov. Email applianceuniversity@mail.com for Customer services, product information.